Leo Johnson: PRO-FAMILY HERO WHO RISKED HIS LIFE TO SAVE LIVES | Public Advocate of the U.S.
For years Leo Johnson did his job. He was and is an authentic American hero. In a flash he put his life on the line to save the lives of many. He saved the staff of the Family Research Council and other pro-family leaders who were on the list of targets discussed in the news media. There would have been a disaster had God not put him in that place at that time. Leo Johnson humbly thanks God for the opportunity to do His will. 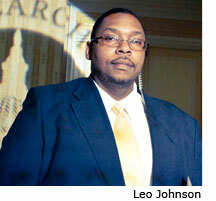 We thank God and we thank Leo Johnson for his heroic example to all of us.